Phyllostachys bissetii produces masses of dense, dark green foliage borne on tall, slightly arching large diameter canes, which are usually dark green; though occasionally may have a purple stain. As this bamboo plant ages, the stem colour changes to yellowish green . Phyllostachys bissetii grows vigorously so it is highly effective for screening and thick hedges as it is hardy and dense. Roots will spread as the plant ages and will need a non-perishable barrier to restrict the plant’s spread. 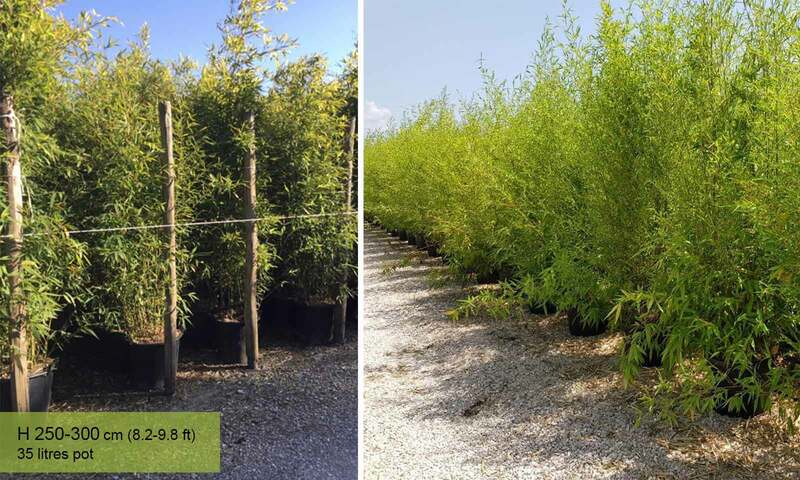 This decorative bamboo is one of the first to produce new canes each year in late spring so it is also grown in large containers as a Specimen Plant.